Symmetry breaking events are critical for the survival of living systems. They are required for cell division, development, and movement in all organisms from single-celled species to human beings. Moreover, in multicellular organisms, symmetry breaking allows the generation of cells with different fates and underpins the complex arrangement of tissues and organs achieved during embryogenesis. 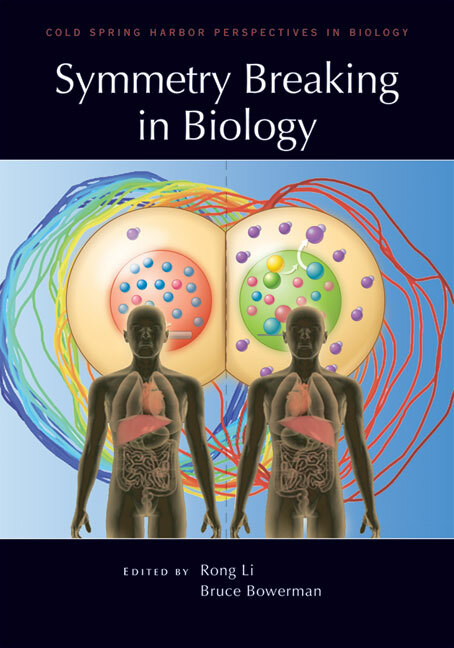 Written and edited by experts in the field, this collection from Cold Spring Harbor Perspectives in Biology explores how symmetry breaking occurs in biology and the roles of these events at numerous different levels. The contributors examine the mechanisms by which cells polarize, divide asymmetrically, and produce asymmetric structures, providing examples from bacteria, yeast, plants, invertebrates, and mammals. Including discussions of the molecular basis of polarization mechanisms, asymmetric division of stem cells during development, the generation of left-right asymmetry of the body axis in mammals, and theoretical approaches to symmetry breaking, the volume is a vital reference for molecular, cell, and developmental biologists, as well as physical scientists interested in how and why symmetry breaking occurs in living systems.